Who doesn’t know about Riquewihr? 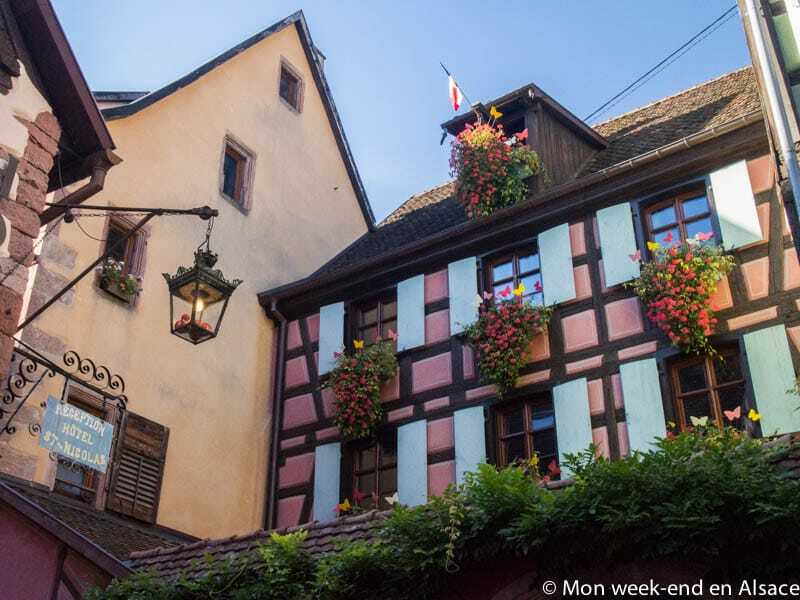 This adorable village located on the Alsace Wine Route is often a must-see for people coming to visit the region. 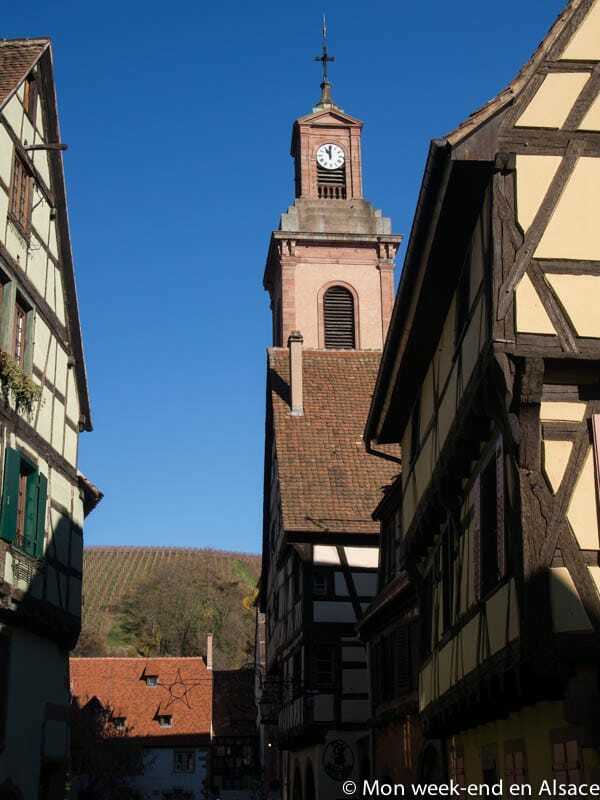 And rightly so, because one can only admit that Riquewihr is a very beautiful place. 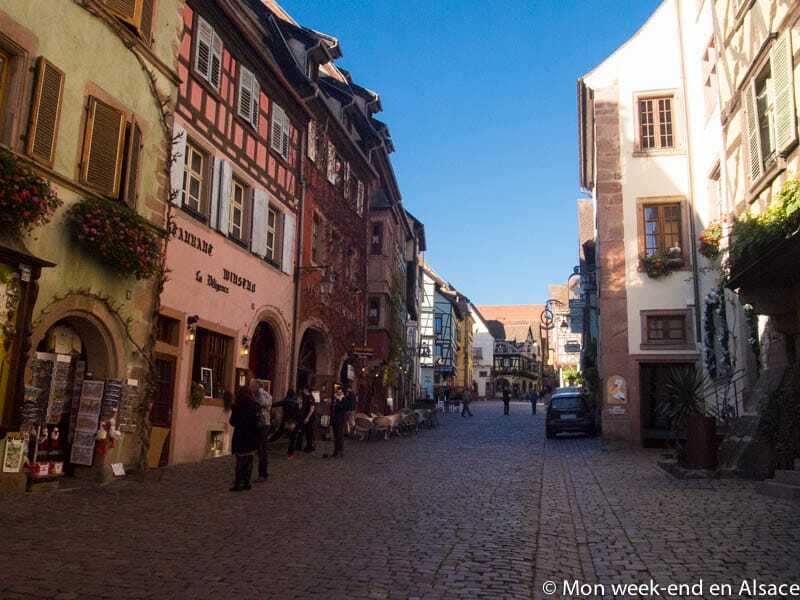 We might criticize its touristy shops and the fact that crowds descend upon the village regularly, but a visit to Riquewihr is still worth it. 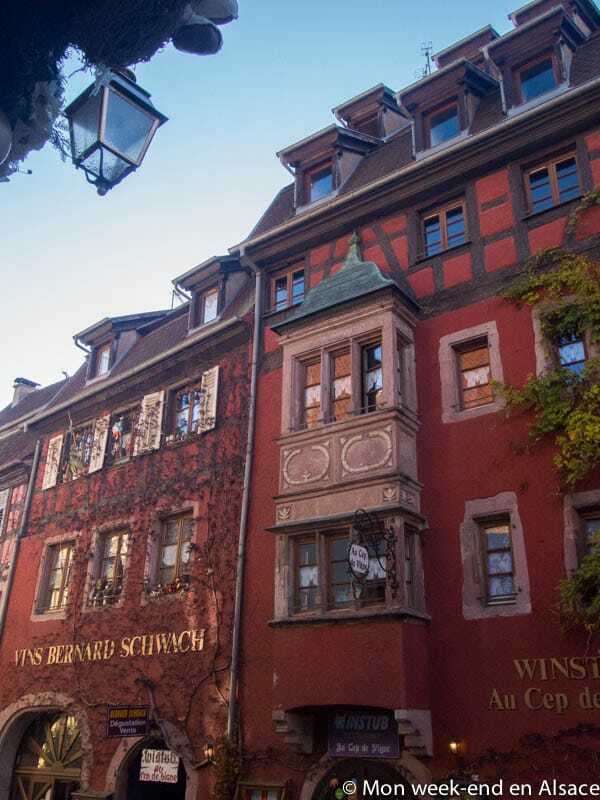 The origins of Riquewihr date back from Roman history. The remains of a wall, of a tower, as well as of an observation tower prove that there once was a road there. As for wine-growing, it implies that there already was a fortified town. 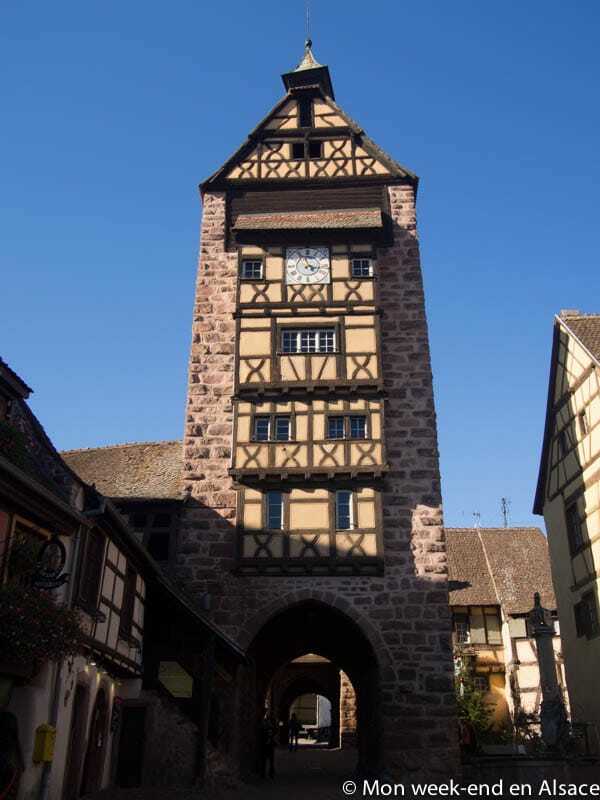 Property of the Dukes of Alsace, Riquewihr is mentioned for the first time in 1049. The village then fell into the control of “seigneurs-brigands”, the noble family of the Reichenstein. To restore order, Rudolf von Habsburg besieges and destroys the Reichenstein castle, and then raises the village to the rank of town, therefore starting the first period of prosperity for Riquewihr. In 1292, the town becomes a fortress with the Horbourg, who build moats and fortified walls. Besieged, taken and plundered during the Thirty Years War, the town is restored and strengthened in the 17th century. 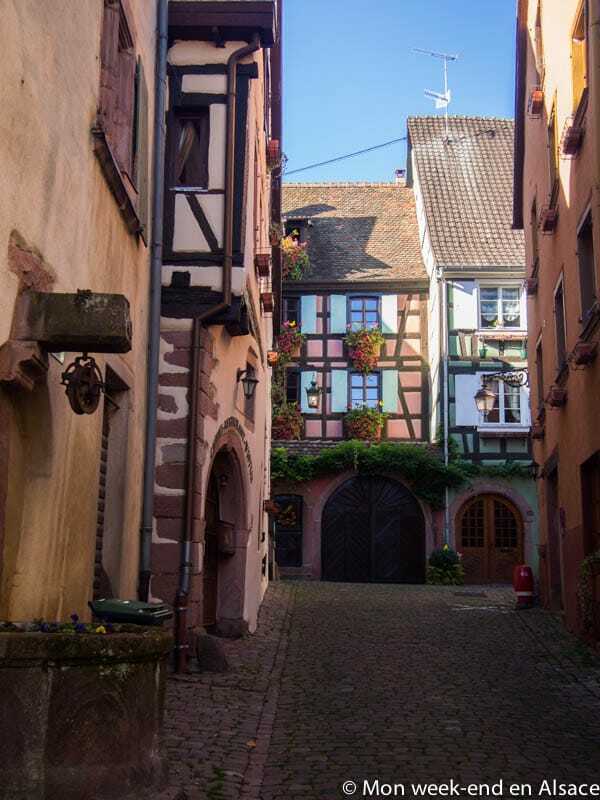 Because of its geographic location, Riquewihr miraculously escaped World War II bombings, allowing it to keep its astounding heritage unspoiled. 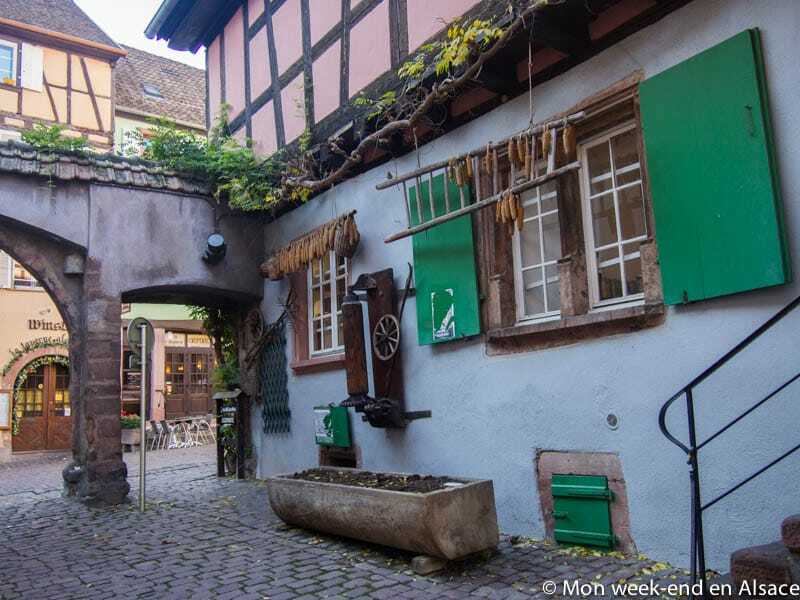 What to do and what to see in Riquewihr? 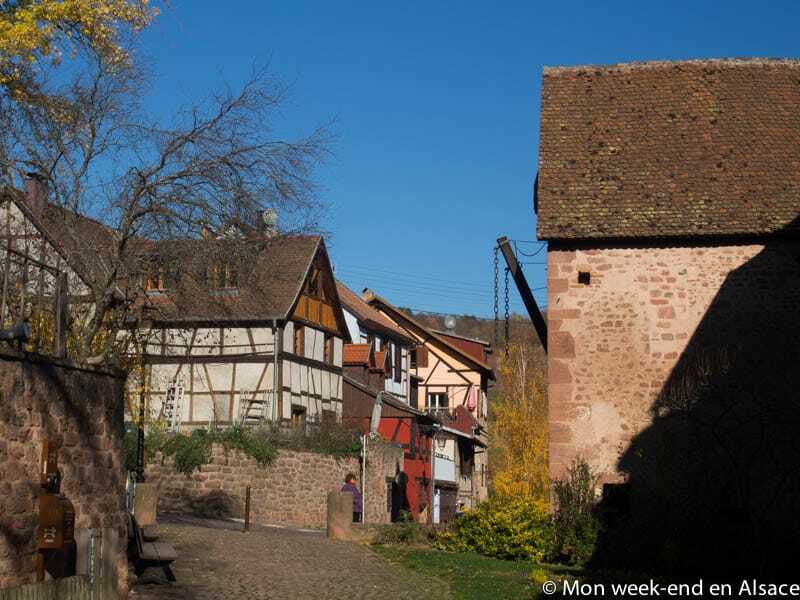 Riquewihr is an old fortified town at the heart of the Alsatian vineyard. Inside the fortifications, you will find the pedestrian centre, where it is actually very nice to walk around. There is no risk to get lost: there is one main street (Rue du Général de Gaulle), from which start other perpendicular streets. Don’t hesitate to wander around. A stroll down the cobbled streets will take you to colorful and flowery half-timbered houses and to beautiful architectural details. 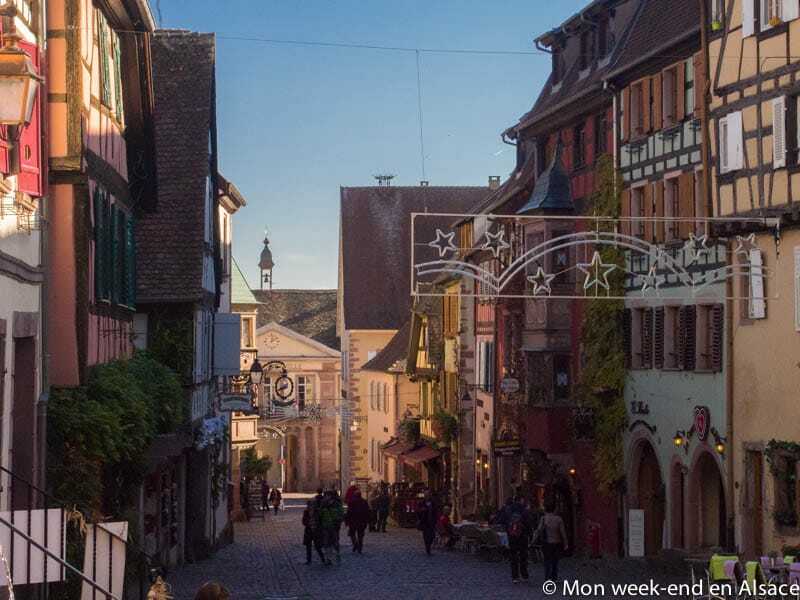 If you were dreaming of visiting a typical and pretty Alsatian village, this is definitely the place for you! 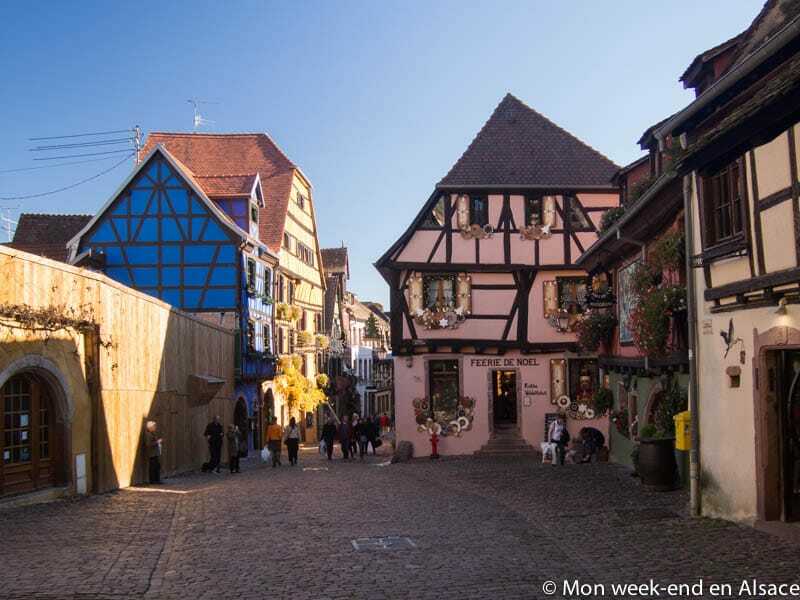 Half-timbered houses, fortified walls, gateway doors, cobbled streets… Riquewihr is probably what you dreamt Alsace to be. 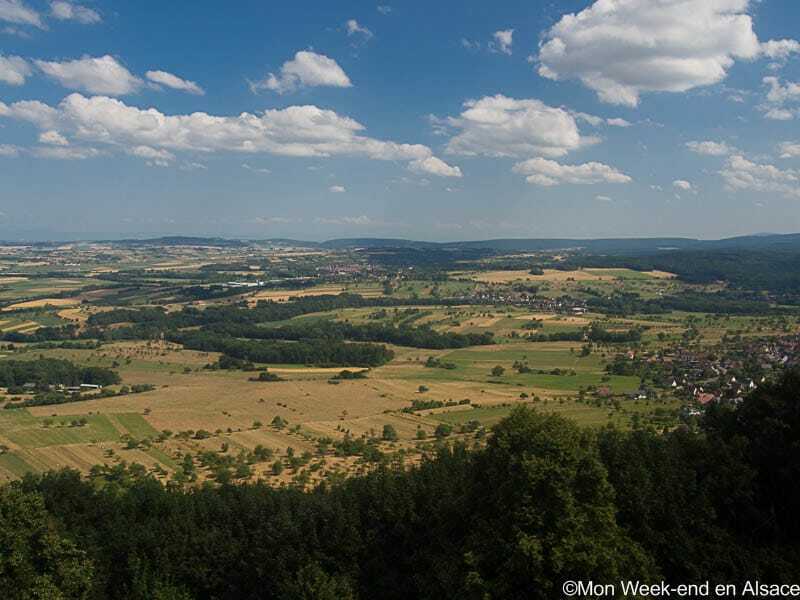 Very close to town, you can first visit the remains of the Reichenstein Castle. 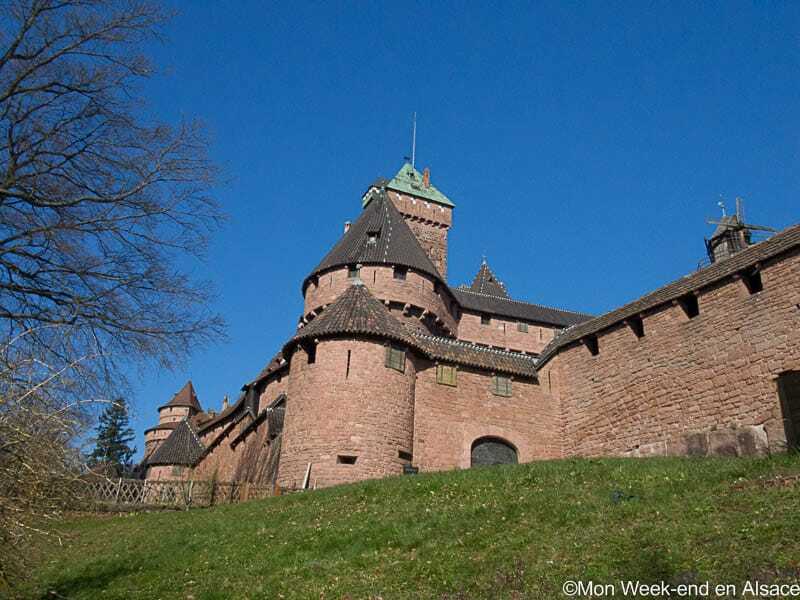 Afterwards, in town you can go have a look at the Neoclassical Town Hall dating back from 1809, and at the old castle of the Montbéliard-Württemberg Counts dating back from the 16th century. Don’t miss either the old courtyard of the Abbaye of Autrey, also from the 16th century, the former Court of Strasbourg Bishops and the old Berkheim Hotel from the same time. With its belfry, the Dolder was the former gateway door to the city and is still today a significant historical monument. Don’t hesitate to go have a look at the view from the top of the building. Have a look at the “Porte Haute” (High Door), at the “Tour des Voleurs” (Thieves’ Tower) and at the magnificent well from the 16th century. 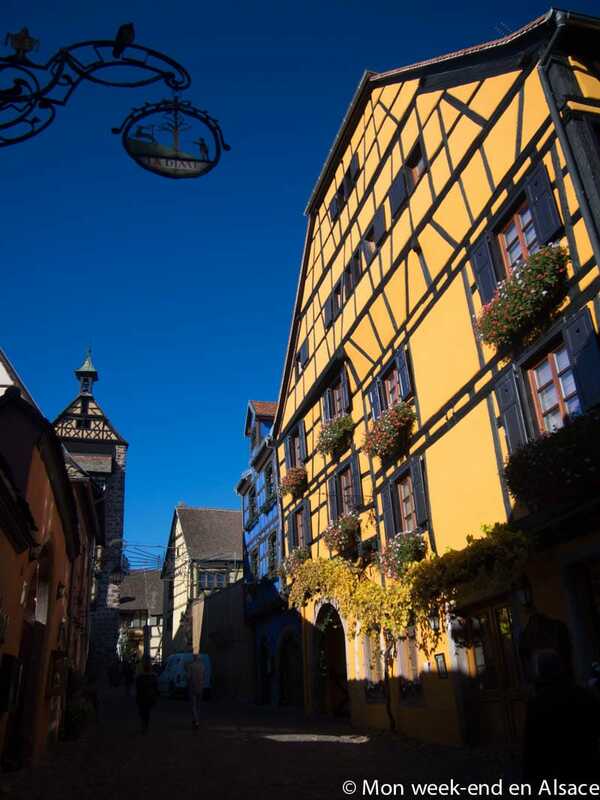 Many houses in Riquewihr are listed as historical monuments and you’ll discover them as you wander around town. Finally, there is also a rich religious heritage with the former Church Notre-Dame, the old Chapel Saint-Erard and the two Churches Sainte-Marguerite (one Catholic and one Protestant). A historic track is recommended by the Tourist Office. It will allow you to discover the rich historical heritage of the town, all the while learning about the different architectural and historical periods of the town. 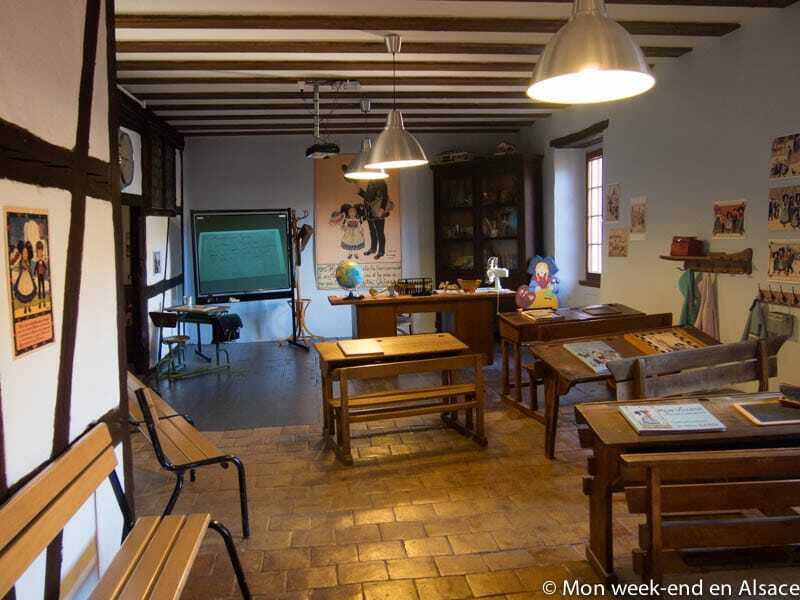 Don’t forget to visit the Hansi Museum, dedicated to a famous Alsatian drawer. 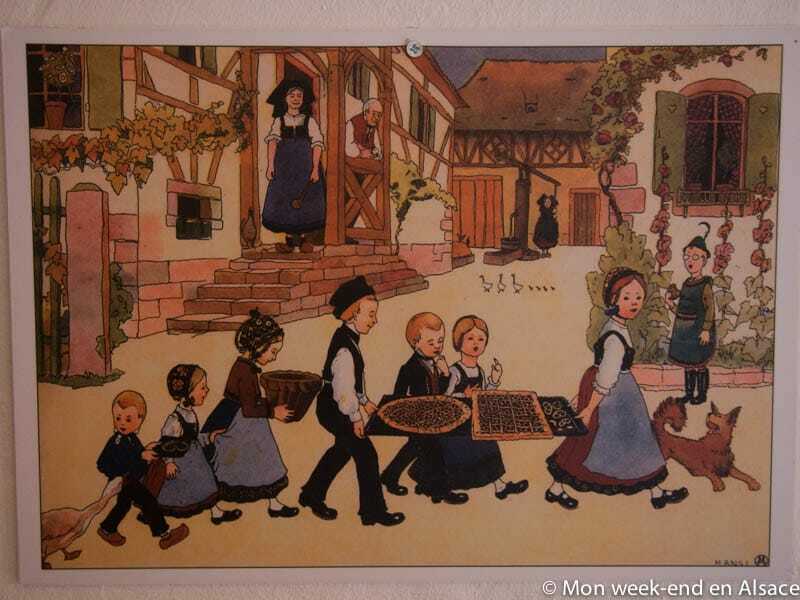 You have necessarily seen its drawings, part of the Alsatian popular imagery and that you can find a bit everywhere. The Hansi House has a shop on the ground floor and a museum on two floors. You can admire there many pieces by Hansi, but also watch a very interesting movie about his life. It’s a pretty nice little museum! 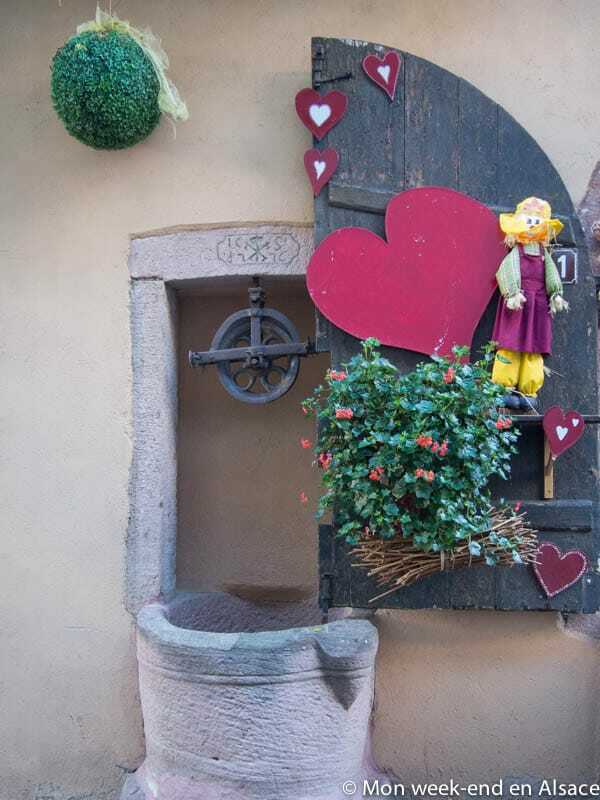 As for the food, don’t forget to try the typical food from here, the “Riquewihrienne”, the green sauerkraut from Riquewihr. It’s a specialty of sauerkraut with a herb cream that you will only find here (in only 5 restaurants!). It’s delicious! 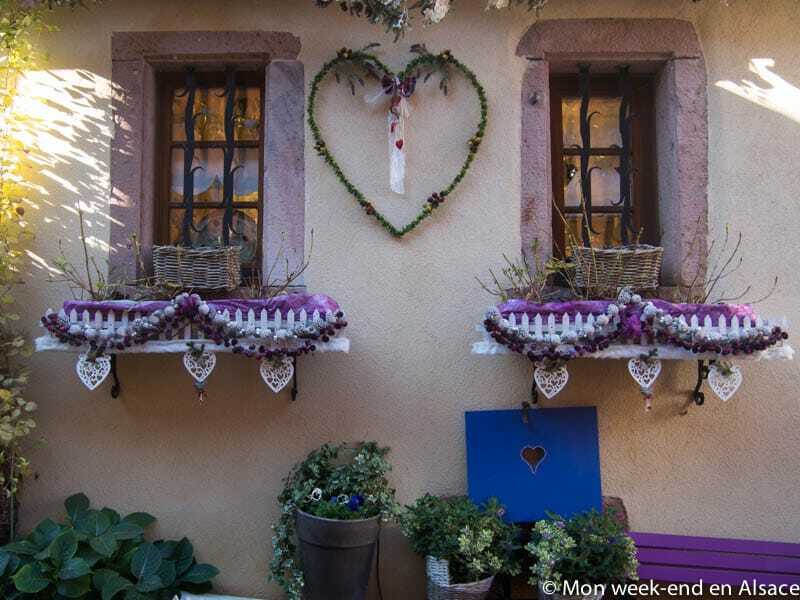 And of course, don’t forget to pay a visit to the vineyard of Riquewihr. 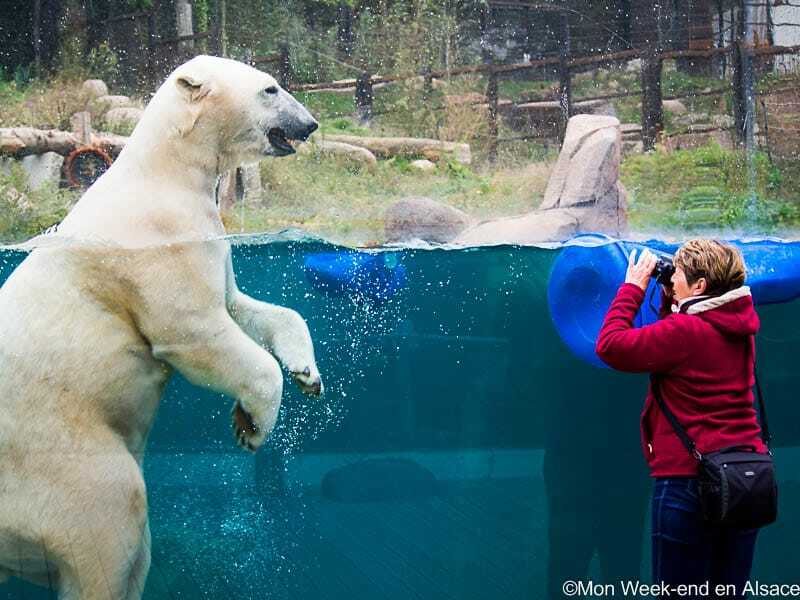 It can be quite crowded in high season. Greetings from Atlanta GA. We’re traveling to Strasbourg at the end of September. 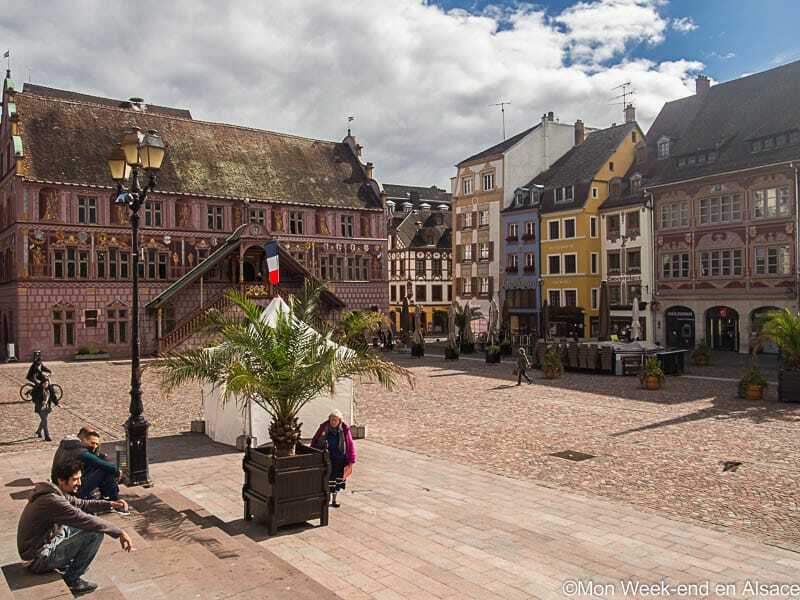 We’ll be staying in Strasbourg, Riquewihr, & Colmar for a couple of days each. Can you recommend 2 places to stay and eat in each town? Thanks.